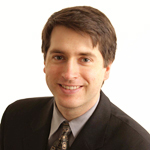 Rich Lowry graduated in 1990 from the University of Virginia, where he studied English and history. He was named editor of National Review in 1997. He has written for the New York Times , the Washington Post , the Wall Street Journal , the Los Angeles Times , and a variety of other publications. He is a syndicated columnist and a commentator for the Fox News Channel. His book, Legacy: Paying the Price for the Clinton Years , was a New York Times bestseller. He lives in New York City.